Emily has worked within participatory dance for ten years and is specialised in the area of Dance and Health, interested in the relationship between creativity and wellbeing. She works with a range of dance, community and health organisations, including Trinity Laban Conservatoire of Music and Dance and English National Ballet. 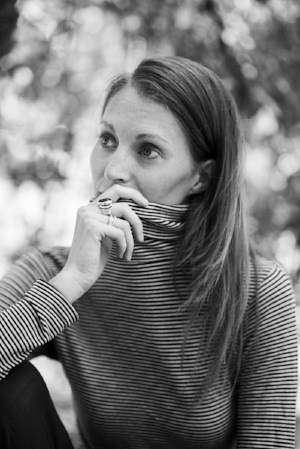 She has also worked with companies and choreographers such as Siobhan Davies Dance and Charlotte Spencer in dance development and management roles. In 2016 she founded Move Dance Feel, a project offering dance to women affected by cancer. She is now working in partnership with three leading cancer support organisations who have incorporated dance into their care programmes. Emily has an interest in dancing with people who face social isolation and life limiting illness which has led her to deliver in a range of diverse settings. Her Artistic Practice is centred around connection as she aims to bring people together via creativity and physicality, over and above social and cultural divides. She has presented her artistic work and research findings in France, Netherlands, Russia, Ireland and England, and travels widely in order to deepen her understanding of different cultures. Emily graduated with a BA (Hons) degree in Performing Arts, Culture and Communication from Oxford Brookes University, receiving the Keith Andrews prize for excellence in Performing Arts. Following which she gained a Postgraduate Diploma in Community Dance and a Masters degree in Creative Practice from Trinity Laban Conservatoire of Music and Dance. "Emily was committed and disciplined in her approach to performance reflecting perceptivity and criticality in the treatment of themes and ideas. Her work was imbued with intellectual and creative gravity."